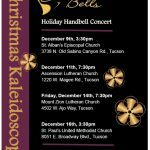 Sonoran Bells is available for private concerts. 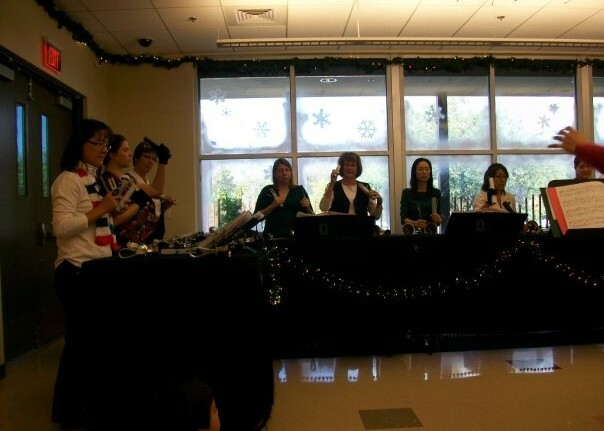 We can perform at your winter holiday gathering, wedding, or banquet. 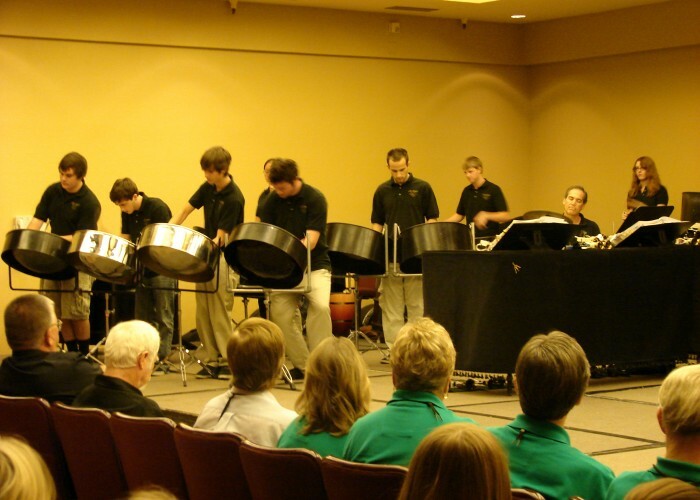 Prices begin at $240 per hour for a small ensemble. 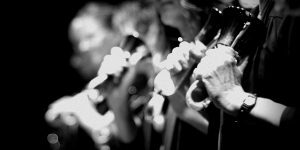 Please inquire with Shannon Casey, Artistic Director, about space requirements, cost, and calendaring. 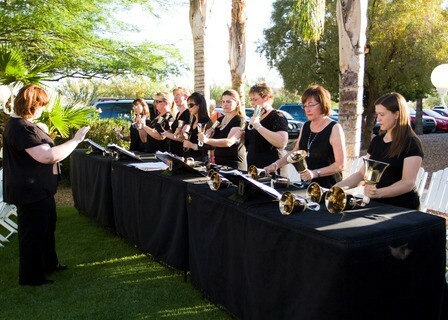 May 2012 -- Ringing at a wedding. Here we are with the beautiful bride. 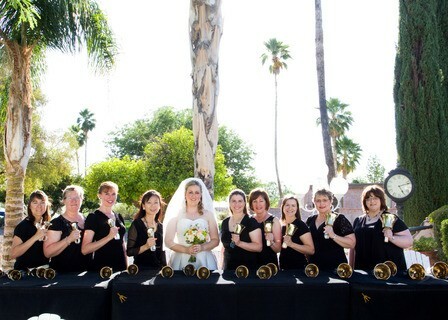 May 2012 -- Ringing at a wedding. 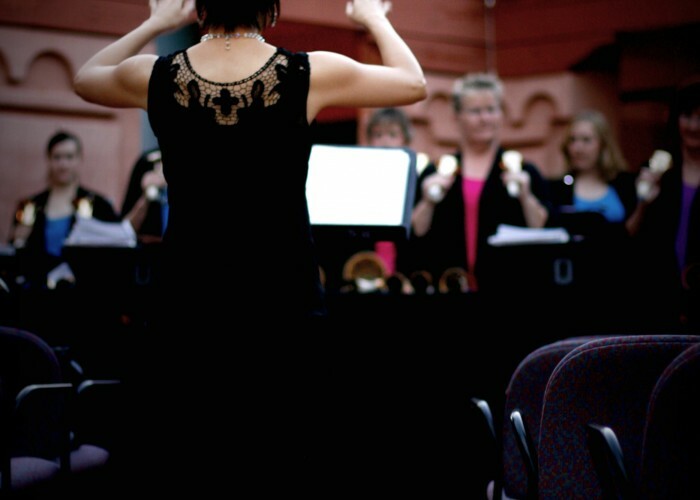 Ringing at The Academy Village in 2010. 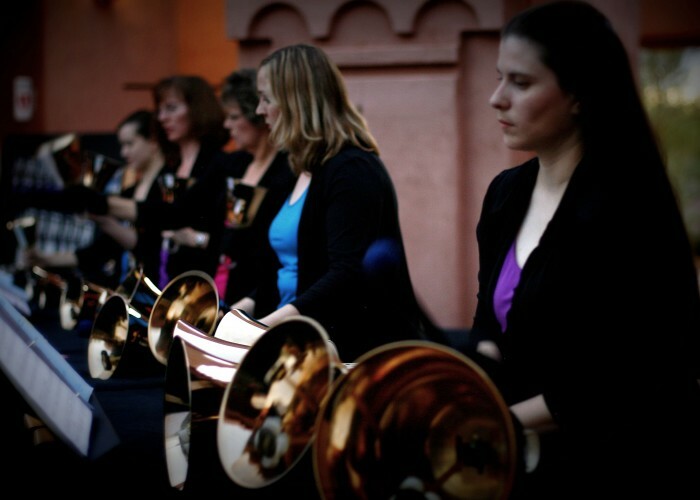 "Sonoran Bells Bronze and Steel" with Jovert, Tucson High Magnet School's Steel Drum Band under the direction of Khris Dodge. June 2010. 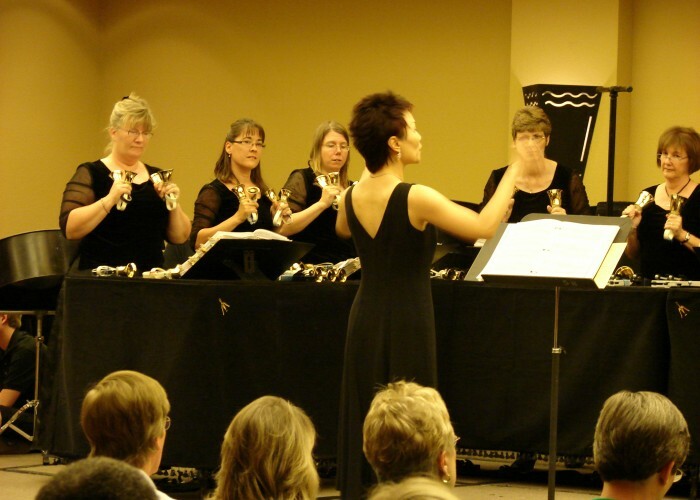 Sonoran Bells at the Mini-Time Museum of Miniatures in November 2009.